Nick is a litigator focusing his practice in workers’ compensation defense. 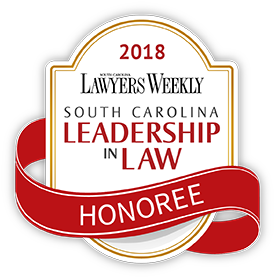 He has experience representing businesses, insurance companies, captives, third-party administrators and self-insured employers before the Workers’ Compensation Commission, the South Carolina Court of Appeals and the Supreme Court of South Carolina. Nick serves on the planning committee for the Annual Medical Conference of the South Carolina Workers’ Compensation Educational Association, and places an emphasis on community service, currently serving on the Board for Kids’ Chance of South Carolina and Friends of Epworth Children’s Home.